In a case of first impression, a Court of Appeals has held that a government subcontractor’s claim for reimbursement of its actual indirect costs was time-barred. Fluor Fed’l Solns. LLC v. PAE Applied Techs, LLC, No. 17-1468, 2018 WL 1768233 (4th Cir. Apr. 12, 2018) (per curiam) (unpublished). 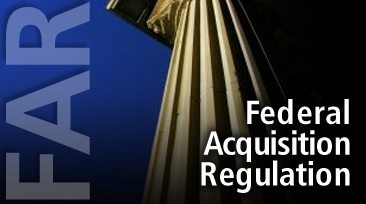 It is the first case to directly address the interplay between the Allowable Cost and Payment Clause of the Federal Acquisition Regulation (FAR), 48 C.F.R. § 52.216-7, and a statute of limitations. It highlights the risks government subcontractors face when they choose to wait for a Government audit rather than litigate promptly after a payment dispute arises. This case involved a long-term subcontract and a long-delayed government audit. In 2002, Fluor and PAE entered into a federal government subcontract that ultimately spanned a 15-year performance period. The subcontract incorporated, with minor changes, the FAR Allowable Cost and Payment Clause, 48 C.F.R. § 52.216-7, found in most cost-reimbursable federal government contracts and subcontracts. That clause requires the Government (or, in this case, the prime contractor, PAE), to pay Fluor’s “anticipated final” indirect rates in accordance with the contract terms, subject to retroactive adjustments once a government audit establishes the subcontractor’s final indirect rates applicable to the contract. 48 C.F.R. § 52.216-7(e)–7(g). In conducting a cost realism evaluation, an agency was entitled to use an offeror’s historic approved indirect rates and current incumbent direct labor rates to upwardly adjust the offeror’s evaluated cost, in a case where the offeror’s proposed rates were significantly lower. The Government Accountability Office (GAO) recently held that an agency did not err by adjusting a protester’s rates to better align with the protester’s historic indirect rates and current direct rates, where the agency was unable to determine that the protester’s significantly lower proposed rates were realistic. In AM Pierce & Associates Inc., B-413128 et al. (Aug. 22, 2016), GAO considered a protest by a disappointed offeror challenging the Navy’s evaluation under a solicitation seeking program management support services for the H-60 Helicopter Program Office. The solicitation was completely set-aside for EDWOSBs. The resulting contract was to be awarded on a cost-plus-fixed-fee basis, under a best-value evaluation. The solicitation said that offerors’ proposed costs would be evaluated for realism, to determine whether the overall costs were realistic for the work to be performed, reflective of the offeror’s understanding of the requirements, and/or consistent with the technical proposal. 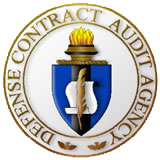 To facilitate the evaluation, the RFP required offerors to substantiate their proposed direct and indirect labor rates through payroll verification, contingent offer letters, Defense Contract Audit Agency (DCAA) rate verification or approval letters, or other detailed justification methods. The cost realism analysis would then involve a calculation of each offeror’s evaluated costs, to reflect the estimated most probable costs. This determination would include an evaluation of the offeror’s cost information — including its substantiated labor rates. In tough economic times, competition for government contracts heats up. Here’s how working with a consultant can give you an advantage to land a huge deal. What makes a good client? A firm that’s established, has deep pockets, and will be around for a long time, right? Right. So it’s hard to argue—regardless of your personal politics—that the federal government isn’t one of the biggest (and best) potential clients for your business. For many, the federal government isn’t just a source for political debate or theoretical discourse—it’s a significant source of income. Working With Government Contract Consultants: Why Work With a Consultant? Unfortunately, working for the federal government is not always that simple. 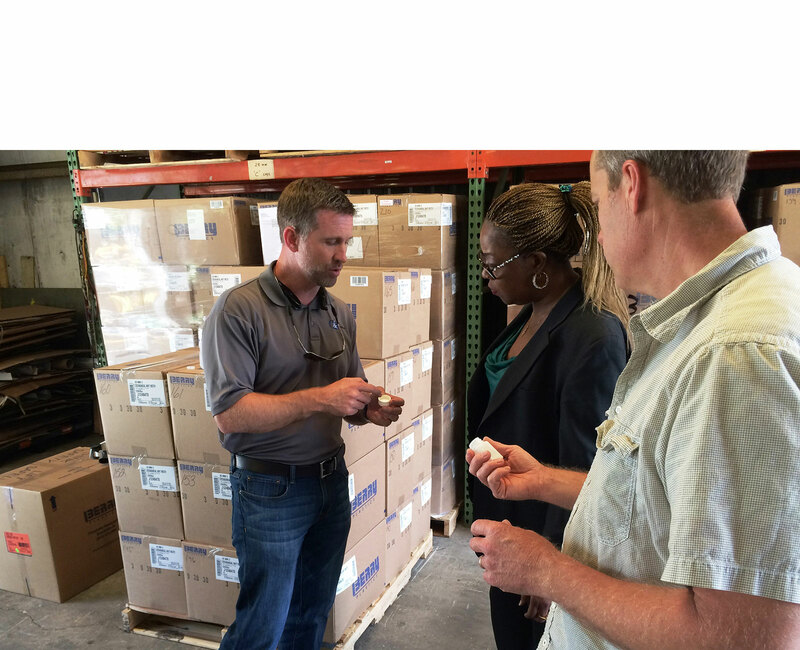 With an aggressive audit system, many small businesses seek out government contract consultants to aid in the federal procurement process. These consultants assist in registering a small business as a contractor, help it write the proposal, and most of all, assist with the accounting processes that are vital to winning bids. While this guide is meant to give you some insight into what government contract consultants can offer, you should know that there are alternatives, too. If you’re not interested in working with a consultant or you don’t have the cash on hand, you can visit a Procurement Technical Assistance Center (PTAC), which are located throughout the country. The centers help businesses market their services or products to the government, by matching a firm’s strengths and offers with procurement opportunities. The first step to obtaining a federal contract, according to Dean Koppel, the Assistant Director for Policy and Research at the U.S. Small Business Administration, is to consult the local chapter of the Small Business Administrator. “Any small business that wants to do business with the federal government either as a prime or subcontractor should look at the SBA contracting offices,” he says. The office will supply a business with information to get you started, as well as give more information about current solicitations for contracts. Last year, the federal government purchased nearly $100 billion worth of goods and services from small businesses through prime contracting procurements, according to the Small Business Administration. That’s nearly 25 percent of the $400 billion overall federal marketplace. Thousands of small businesses across the country have been winning contracts for years. Before you hire a consultant, though, to become a federal contractor, you’ll need to register your firm in the Central Contractor Registration (CCR) database. While the government contract consultant can assist you in this process, it’s easy enough to do on your own. The CCR is a portal that gives businesses a chance to market their goods and services to the federal government. Then, you must renew your registration every 12 months from the date you initially registered. An invalid registration will diminish your chances to receive contract awards or payments, so it’s important to stay up to date. Having what the government calls ‘adequate accounting’ practices is essential. Many small businesses have accounting methods that are outdated or non-existent. This won’t fly with the federal government. “A company needs to have an accounting system that’s operational,” Steen says. “It can’t be sitting in a box somewhere on a shelf that’ll be implemented if they get the contract.” In other words, you have to be able to prove to the government that your accounting practices are consistent with general ledger accounting. In general, a consultant will review your practices and recommend certain changes to make sure you get positive feedback from your audit. What can you charge to the government? What can’t you charge? These are the questions you’ll be working with a consultant to determine. The government puts forth certain requirements that distinguish between “allowable” and “unallowable” costs in your proposal. If you try to get reimbursed for unallowable costs, it could cost you the job, or you could face penalty charges or interest. Categorically, they’re called ‘cost principles,’ says Steen. “Those cost principles take selected elements of cost such as advertising and interest expense, etc., and tells the government contractor which is allowed,” Steen says. Essentially, it’s a government regulation that defines unallowable costs. So for example, a consultant will help a business distinguish between direct and indirect costs, remove any unallowable costs, implement processes for compensation and labor charges, and analyze even the small details on a financial statements, like uncompensated overtime. First, you have to determine the style or the format, says Robert Horejsh, a government contract consultant and owner of Federal Contract Consultants, LLC, which is based in Wisconsin. “Just about every contract officer has a little different style. Sometimes they tell you exactly what they want and you have to follow their outline.” Other times, there are no guidelines at all. Government contracting is not going to happen over night, says Jorejsh. “I tell my clients that I’m not sure if it will take three weeks, three months, or three years,” he says. But the value of consultant is clear: They are working on your behalf to ensure you have the best opportunity to grab a lucrative federal contract. “A consultant hangs in there and looks at what your chances are of actually getting the contract,” he says. — By Eric Markowitz | Nov 12, 2010 – Inc. magazine – Copyright © 2010 Mansueto Ventures LLC. All rights reserved. Inc.com, 7 World Trade Center, New York, NY 10007-2195.